Are you locked out? Is there a broken key in your lock? Are you in an emergency situation where your home’s safety has been compromised as a result of damaged locks or a jammed door or window? At Call Locksmiths are your go-to after hours locksmith, so you don’t need to worry any longer. A quick phone call to us and we’ll have a fully qualified and trained locksmith to your door within an hour to get you access once again and ensure the safety of your property. At Call Locksmiths are your dependable reliable option, and you can expect quality work and total security, that is fully insured. Our primary goal is amazing customer service so your needs are met completely and you are left happy, de-stressed and safe and secure once again. 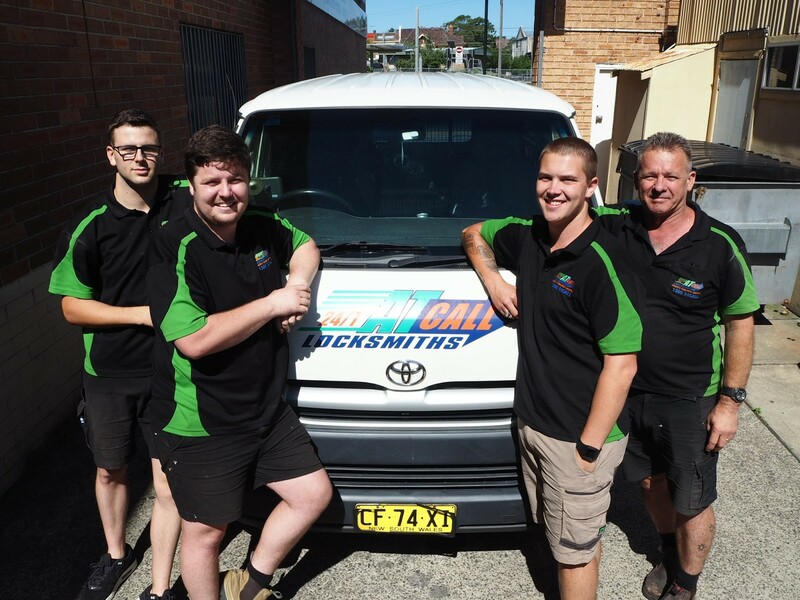 For many years At Call Locksmiths have been servicing and providing emergency after hours assistance to Sydney and the surrounding region; including the CBD, Sutherland Shire, Inner West, Eastern and Western suburbs, Liverpool, Canterbury, and St. George. With over 32 years of experience in the locksmith industry, our expert knowledge in both commercial and domestic situations is unparalleled. Our flexible locksmith service has formed our reputation as one of Sydney’s most reliable locksmith services. Our friendly team is ready to assist you whenever you need, 24/7. At Call Locksmiths is Sydney’s go-to after hours locksmith service. A big reason why our customer base continues to grow is our competitive pricing, reliable high quality service, and a 12-month warranty for all products with new installations and a 3-month warranty on maintenance and repairs. We stand behind our work. 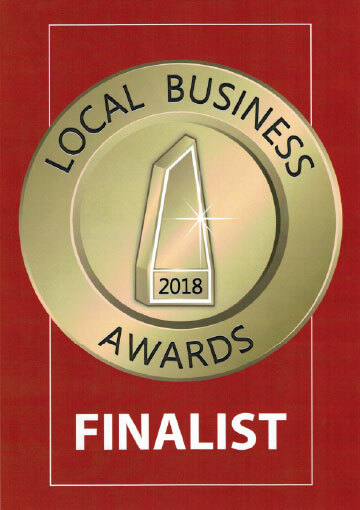 It’s our commitment to fast, effective response times, competitive pricing and reliable services that have enabled At Call Locksmiths to excel. If there is one thing we understand and have witnessed plenty of, it’s the unfortunate timing of a lockout situation. It usually happens when our customers are often in a rush, stressed or busy, which leads to the slip-up and an unfortunate lockout. This is why we are constantly available ready to assist at all hours of the day. Unfortunate situations such as these never stick to a schedule, which is why At Call Locksmiths is on hand 24/7 to help rectify the situation as quickly and professionally as possible. If you find yourself in one of these unfortunate situations and you need access quickly, simply call 1300 24 22 55 and we will be there immediately to resolve your situation. Our fleet is ready and waiting to help you out of a pickle any time of day. 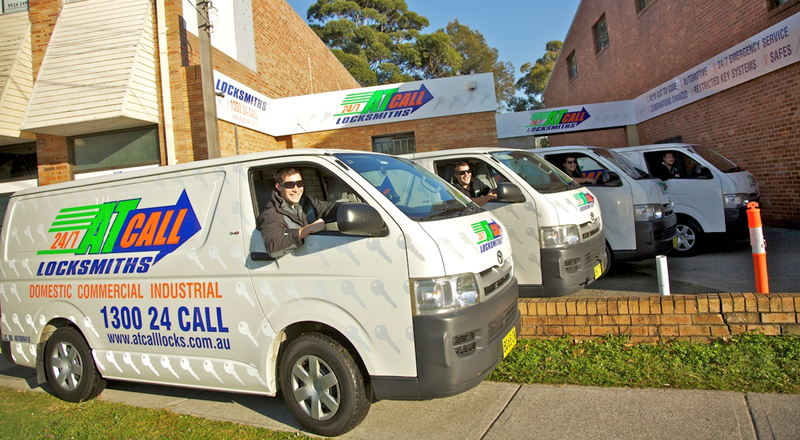 At Call Locksmiths are on hand 24/7 helping Sydney and the surrounding region get back into their homes and businesses fast. Have you locked your keys inside your home, car or office, or have a lock that isn’t performing the critical function of keeping you secure? Call our 24-hour emergency locksmith service. Our professional team have seen and can solve any lock related emergency; we’ve got the years of experience to handle even the most daunting of challenges. We’ve seen it all! During business hours, At Call Locksmiths can be contacted through the ‘Quick Enquiry’ form or by calling our friendly staff. If you require our emergency locksmith services outside of business hours, call 1300 24 22 55 and we will be on our way to reinstate your access immediately.